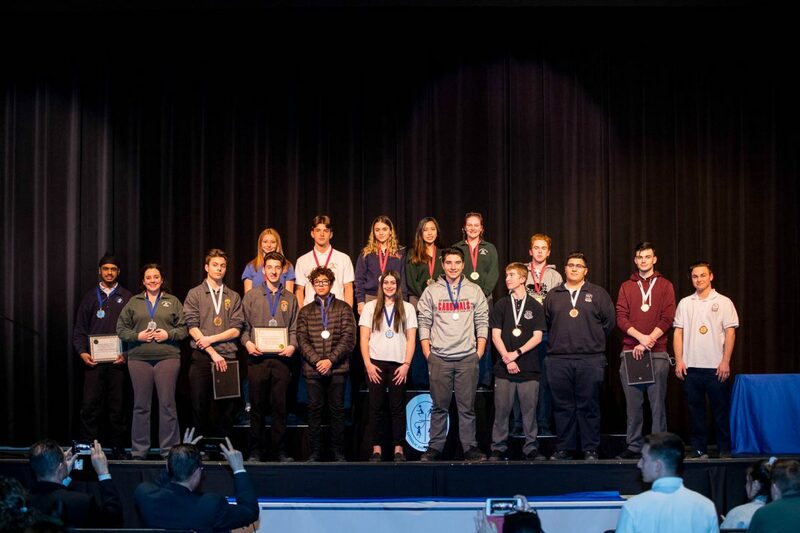 On Wednesday, March 27th, students from York Catholic secondary schools competed in the first-ever Board-wide Technological Skills Competition. This competition was a qualifying event for the regional and provincial Ontario Technological Skills Competitions. Judged by industry experts, students competed in one of five categories: Auto Service, Coding, Hairstyling, Photography, and TV/Video. TV/Video – This competition featured teams of two that recorded and edited a 30-second public service announcement. Students were assessed on their creative content, technical abilities in both recording and editing, and overall structure of their PSA. Congratulations to the following students who will will advance to the regional skills competition on Saturday, April 6, 2019 at Humber College North in Toronto.